Human rights campaigners say President Obama's decision to backtrack on his promise to close the Guantanamo Bay detention camp in Cuba leaves inmates in a worse position than ever. Military trials will be resumed and suspects are now likely to have their cases reviewed every four years instead of annually. 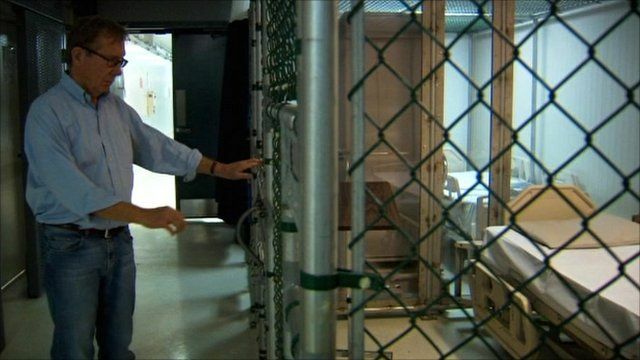 The BBC's Peter Taylor has been given rare and extensive access to film inside Guantanamo Bay for BBC Two's The Secret War on Terror which begins on Monday, 14 March, 2011 at 2100GMT.